We firmly believe that most legal disputes can be resolved with minimal legal interference. This is done through negotiation and compromise, not adversarial, and oftentimes expensive, legal maneuvering. We don't want to take your case to trial. We want to help you find compromises that you can live with. 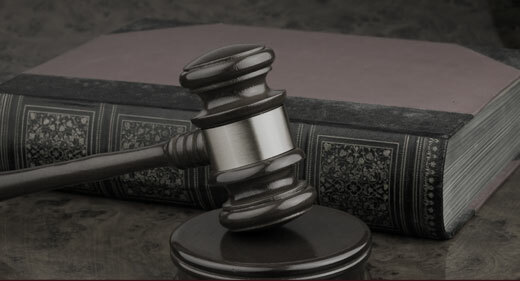 Our Algonquin law firm helps people with bankruptcy, divorce and real estate issues. 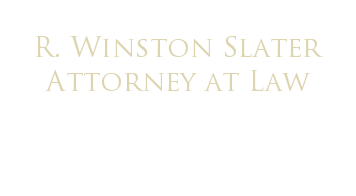 Our attorney — R. Winston Slater — provides personal attention to his clients' problems and strategizes with them to find creative and cost-effective solutions to their problems. After working for a large law firm, he realized that clients rarely left litigation happy and usually spent considerable amounts of money — more money than they would have if they settled the case through negotiation. So, he formed his own law firm based on the principals of compromise and negotiation. We provide personal service for all of your legal needs. Your case will not be handed off to a less experienced associate or paralegal. You will get direct access and advice for R. Winston Slater, himself, at all times. Even if it is 10:00 at night, on the weekend, you can expect your call to be returned. We have no set office hours and set appointments when they are convenient for our clients. From our Algonquin office, we help individuals and businesses with real estate transaction issues, as well as those of family law and bankruptcy. Contact us today by calling 847-658-1400 or by sending us an e-mail.